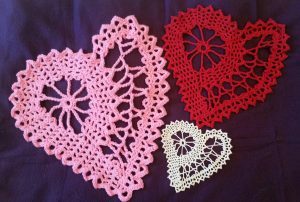 …of a crochet addict begins in June 2013 while I was working my way through a CFS/ME (Chronic Fatigue Syndrome) flare up. I had been out of work for many months and Facebook was growing laborious and really not helping my mood. Oh, and I was a smoker at the time too, which meant that I was smoking more and more to keep my fingers active. A new addiction was needed, one that was healthier and more rewarding. And so begun my obsession. To this day I am still unsure why crochet was the first thing that came to mind, but you know what? I am so glad it did. When I was a child learning the craft from my Gran (she’s still here too and has watched the progression) I really wasn’t interested. So I was expecting to get pretty bored pretty quickly. I mean, after all wasn’t it the craft for the over 60’s? What can I say…almost 5 years later and I cannot go a full 24 hours without hooking a stitch. When I restarted I made a promise to myself that if I was going to do this then I had to do it properly. It was time to push my skill levels beyond my comfort zone. To continuously learn something new as often as possible and to become an expert in my field. So, I vowed that every day, no matter what the dis-ease was doing, I would crochet for at least 10 minutes. I have discovered that being on the autistic spectrum has had its advantages here. When something new interests me I have this tendency to obsess over it and find all the information that I can and soak it all up. When I have done that I then proceed to “preach” it to anyone who will listen. In some respects that helps to keep the information ingrained in my brain, but it has also labelled me as bonkers and crazy in my family. My kids are often telling me I am unhinged…but that doesn’t stop them from asking for crochet goodies. They’ve had seahorses, Pokemon, cushions, gloves, spacemen, bags, the list is never ending. As a result I rarely get to make things for myself, although, I do get to pick and choose my projects. I try to stay away from the patterns everyone else is making. To be fair, they are amazing patterns and very beautiful, but after I have seen a hundred different versions of the same afghan or mandala I want to add something new to the internet stream. 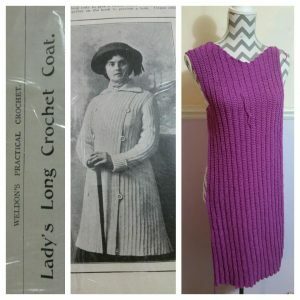 I have been very fortunate in that I discovered Ravelry really early on and lucky enough to work closely with Rainbow Valley Crochet as a pattern tester, so I really do get to choose from an eclectic range of patterns; antique, vintage, modern. You name it they are all out there and very easily accessible. This crochet addict learned UK & US terms and charts, right from day one. Why would you do that? Knowing that most of the patterns I was going to work from to increase my skill levels were going to be accessed on the internet, I knew that I needed to have knowledge of the US names for the UK stitches that I knew. Also a lot of the most beautiful crochet motifs that I was finding on Pinterest happened to have charts and lots of foreign languages. Did you know that if you learn the chart symbols at the same time as learning the stitch names you can pretty much crochet everything out there. 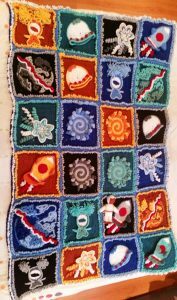 The stitch symbols are universal, what a result for someone who can stop finding new projects. This was the first step towards my obsessive behaviour, yet it wasn’t the most obvious. The next obsession that came was the endless list of projects that I found interesting and wanted to try. Last time I checked that list it had almost 200 crochet projects on it . As a result, you should see the yarn stash…actually, no you don’t, it’s huge and fills not only my living room, dining room, hallway cupboard, my bedroom but also a large portion of the Unravel & Unwind studio space too. My obsession with crochet has also been a life saver. 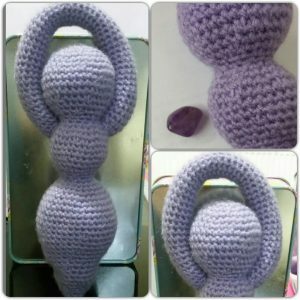 I had heard the stories that crafts can help improve depression, but I didn’t understand that until I begun to experience it. This addiction has most certainly improved my mental health. The finished projects and the smiles on the faces of those receiving my crochet work just says it all really. What have I learned? Self-worth and what it feels like first hand, and the social aspect has been an incredible support too. Hopefully, sharing my skills and knowledge with others, they too will sit there one day with a crochet project they never thought they could finish, saying over and over again “I did that! I really did do that!” I still say that at the end of every project. At the start, when you glance at the pattern after falling in love with the image that accompanies it, it feels like you may never get to the end, that it is hard…but it really isn’t. If, like me, you put the time in to build the knowledge and expertise from day one, the world is your oyster and you will be amazed at what you can achieve. ← Got any Crafty Goals for 2018?